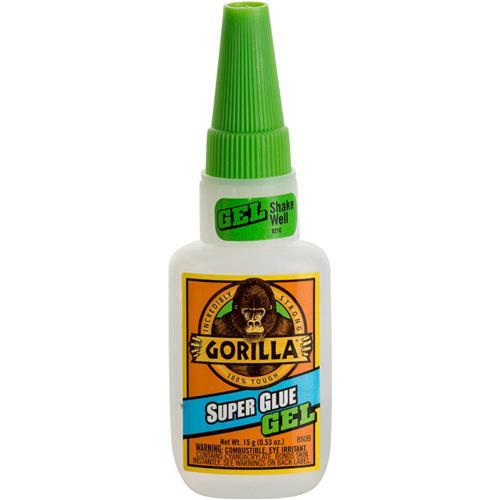 Gorilla Super Glue provides a strong bond for instant repairs on smaller, indoor projects. Unique rubber particles provide the impact resistance and strength that bonds metal, wood, ceramcis, most plastics and more. The bottle features an anti-clog metal tip, while the thicker formula allows for easy flow control. It sets in under a minute, with no clamping required. Projects dry fast and last long, standing up to drops, bumps, and bangs. Gel format, 15 grams.